A wooden floor accents the entire home and adds class and beauty to any area of the house as well. If you are renovating your home or building your dream home, why not consider using timber floors? When you live in an amazing and diversified city like Sydney, the options are endless for wooden floors. You can always count on timber floor in Sydney contractors to construct your project for you. Why use timber for your floors? Timber greatly enhances the overall value of your home. With timber floors Sydney, you can be sure you have the best selection of wood species for any type of décor or style you have. 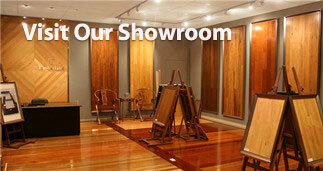 Try Birch, Tasmanian Oak, Cherry, Spotted Gum and many more. You can easily find the most alluring timber flooring right away. Timber floors make an excellent investment. They enhance the market value of the home, according to financial experts. If you truly want to create amazing flooring for your interiors then consider getting the most hard to find variety and watch as your home value doubles when you decide to sell or rent it out. Timber floors are very beautiful and easy to maintain if you know how. Proper sanding is the best way to start caring for your floor; but if you opt to have a professional flooring contractor do it for you then you may never have to worry about this at all. The beauty of wooden floors may last a lifetime with minimal care needed. There are many types of installation for a timber floor. Floors made of timber may either be glued down or nailed depending on the type of flooring material used. An expert flooring contractor can help you figure out the ideal installation for you type of timber planks. Timber flooring may vary in thickness; from 18 to 22 mm is the most common plank thickness in the market. Deciding on the thickness of the flooring plank may depend on the type of sub floor that you have. Again, it is best to consult with experts for the ideal one for your project. Timber flooring may come in a variety of shades and grain conditions even if you are comparing planks of the same wood species. This is a normal occurrence in most types of wood. You can try to remedy this situation by sanding or staining the planks for a uniform color finish. Materials needed for your DIY project must always be handy before you start on your home renovation project. Sanding tools and power tools must be ready to use. If you want to cut down on installation costs, try renting power tools in tool rental shops near your area. Even with complete tools and equipment, needing inspiration may be another stumbling block in your project. Remedy this situation by browsing through catalogs, timber floor websites and home renovation websites for the best ideas that you can use. Know how to take care of wooded floor form day 1. Only with great care can timber floors last a lifetime.